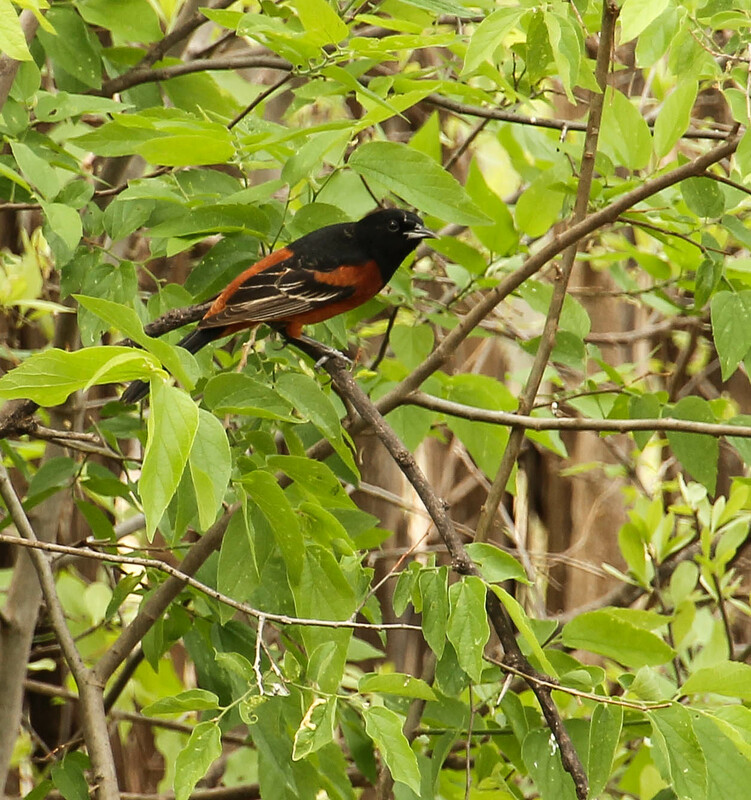 Since a lot of birders are talking about the Orioles and their migration, I thought I would post my Friday’s Feathered Friend on the Orchard Oriole. It was fun seeing this bird for the first time a few weeks ago. I will say, as everyone is pointing out, its time to put your Oriole feeders out; it is easy to do. 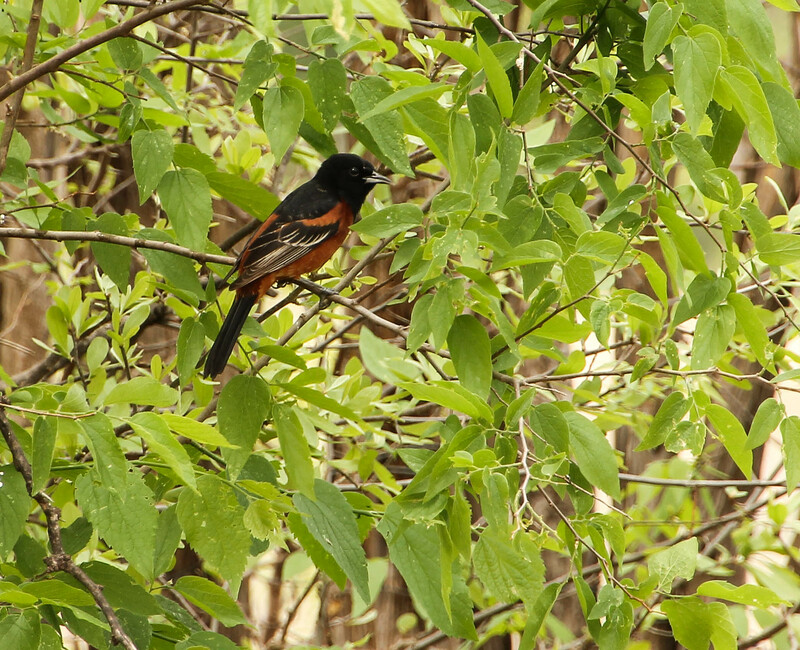 Cut a few oranges in half and place some grape jelly in a dish and you might have a beautiful Oriole in your yard. Here in Colorful Colorado we have the Bullock’s Oriole. I happy bird I would say! Population status: common to fairly common in open woodland, farmlands, scrub-mesquite, shade trees and orchards. Declining in parts of western range. They eat fruit and nectar. Nice photos! And congratulations on another Life Bird! Sharon, isn’t it always fun to add a new bird to your Life List. This Orchard Oriole is number 364. Thanks! Hope you are having a wonderful time feeding the birds and wildlife! Hi Sylvia, yes these birds are beautiful! I need to see where you are currently! Quite a beauty he is! Hi LuAnn, wonderful to hear from you. You have been very busy touring around! I hope you enjoy your summer “home”. Thank you for this post, Sheila, and congratulations on getting a new Life Bird – very nice. I hope you and Howard and your girls are recovering fast and well after that unexpected and difficult start to this week! I don’t know if it’s any consolation but I just wanted to say, you wrote that story very well; reading it, I felt like I was right there with you. Thank you so much for your lovely words! Skye River is doing very well; today I noticed a real improvement in the color of her skin. I believe the Arnaca Gel has helped, but don’t really know for sure. She will be on antibiotics for one more week. Yes, it is always fun to add a new bird! This winter I was able to add eight new birds. It has been awhile since I have been able to do this. WOW, you were in love with birds beginning in the 2nd grade! Yes, put out some oranges and some grape jelly and you might have them in your yard. Go to this blog about lady that volunteers at NWR. She is currently in MN, just arrived, and already has Orioles. You might know her site: http://travels-with-emma.blogspot.com. Have a beautiful and fun weekend and Happy Mothers Day! Nice to have you post again. Thanks for your kind thoughts! Wishing you a great weekend! Hugs to Cali! That’s a beautiful oriole! I am going to look into the feeder. Not sure how that will work with us traveling…. Have a super Saturday Sheila! You don’t really need a feeder. A dish you can set out with grape jelly and a peg thingy that a bet Joe can build for the oranges. I set out grape jelly last summer and they loved it.